The finalists for the Aesthetics Awards 2018 have been revealed! The practitioners, companies, clinics and organisations who have been recognised for their excellence in medical aesthetics are now listed on the Aesthetics Awards website. 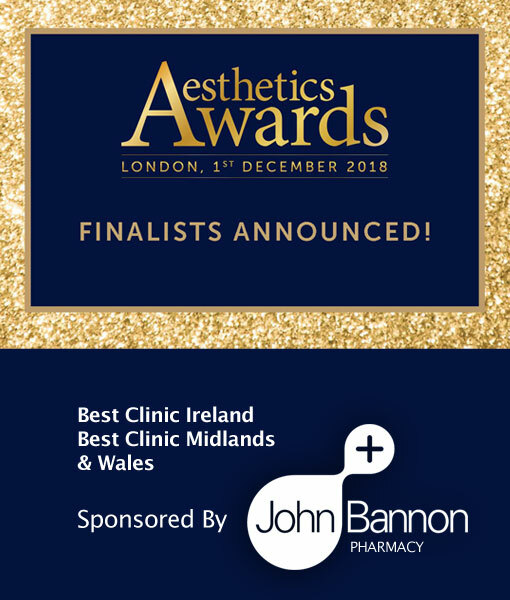 John Bannon Pharmacy are proud to sponsor the award for Best Clinic Ireland and Best Clinic Midlands & Wales. This entry was posted in Aesthetics Awards, Aesthetics News. Bookmark the permalink.